Right-wing pundit Ann Coulter influenced President Donald Trump’s decision to shut the government down over the issue of a southern border wall and is now hoping to influence Trump’s message to the nation when he takes to the airwaves tonight. Trump will address the nation on television with what is set up to be a political sales pitch to gain public support for the possibility that he will declare a state of emergency in the United States in order to build his long-promised, but undelivered border wall. The move comes as public opinion toward Trump’s decision to let the government shut down unless Congress funds his border wall is rapidly souring. As many have pointed out, it’s highly likely that pressure from Coulter and talk-radio host Rush Limbaugh influenced Trump’s decision to force a government shutdown over the issue of constructing a physical wall along the U.S.-Mexico border. 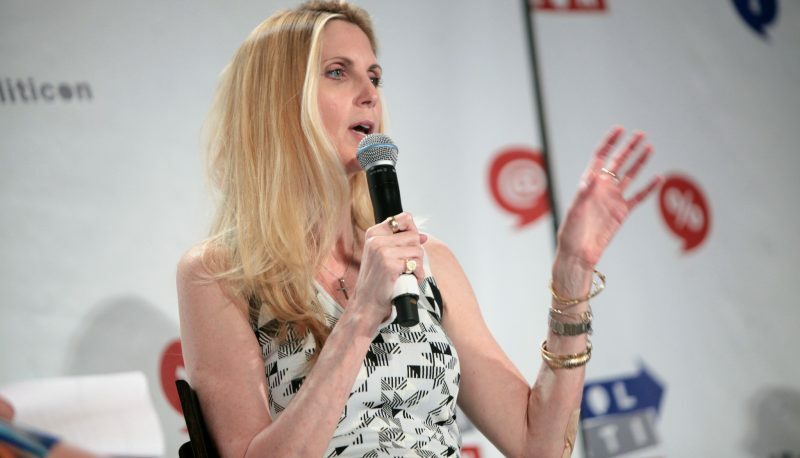 In recent interviews, Coulter has boasted about her influence over the president and has said she is confident that “he will fold” to her demands. Coulter called into last night’s episode of Breitbart News Tonight to detail what she believed were the most important points that Trump should make when he delivers his remarks this evening. Coulter told the hosts that she wanted to offer her commentary before Trump gave the address, rather than wait until after the speech, in hopes the White House would listen. Coulter went through a series of points outlining what she would like to see from tonight’s address. “Number one, most important point, is no amnesty. No amnesty for anyone,” Coulter said, blaming the 1993 World Trade Center bombing on amnesty laws. She then urged that Trump do his best to act “presidential,” and showered him with praise for his demeanor while announcing Brett Kavanaugh’s nomination to the Supreme Court. “He should say something like, ‘You know, you say a lot of wild things on the campaign trail. I’m speaking to big rallies. But I want to talk to America about a serious problem that is affecting the least among us, the working class blue-collar workers,” Coulter mused. As much advice as Coulter offered, there were a few tells that she wasn’t entirely confident that Trump’s Oval Office address would be received positively. “Please, God. Let Trump be good Trump,” she said.